And where did Ernest “Papa” Hemingway get his talent of description, his ability to convey so much meaning in simple phrases? Perhaps no author provided a better sense of place in their writing than him. From describing a “clean, well-lighted” cafe to the war-torn hills of Spain, when you read Hemingway, you are where his characters are. He saw the world through a journalist’s eyes, reporting for the Toronto Star when he was just 20 years old. Having driven ambulances in World War I, he was able to capture both the exciting and the mundane of every place he wrote about. He always experienced the full breadth of what a place could be: a war zone or river to fish in, a bullfight or a Parisian bar. Unsurprisingly, Hemingway fans appreciate being fully immersed in the places they visit. At Azamara, we couldn’t agree more. On our upcoming Cuba itineraries, we’ll immerse you in two of the writer’s favorite places, and some of his most important writing locations: Key West and Havana. In Key West you can visit the house he purchased in 1931, which was his home when he wrote “The Snows of Kilimanjaro,” one of his most famous short stories. As you explore Key West, imagine the African safaris that inspired the story. You can even picture Hemingway sipping a cocktail on his veranda after a long day of writing. Of course, few places captured Hemingway’s imagination — or ours — like Cuba. The Old Man and the Sea, for instance, hooks and pulls us along with Santiago as he fights for his life and his prize after 84 long days without a catch. Hemingway wrote standing at a “desk” (a bookcase against the wall) in his house in Havana. He'd start writing early in the mornings, right after first light, when the cool breeze would blow in through the window. It is from Havana that Hemingway would sail “Pilar,” his prized fishing boat, out into the gulf stream like the Old Man of his masterpiece. Spend a day in Havana indulging in some of the experiences that Hemingway also enjoyed, like fine Cuban rum and renowned Cuban cigars. Think about all the places you’ve visited, and where you’ll go next. Imagine each city and its people, and the stories they might tell. View our Cuba voyages here. 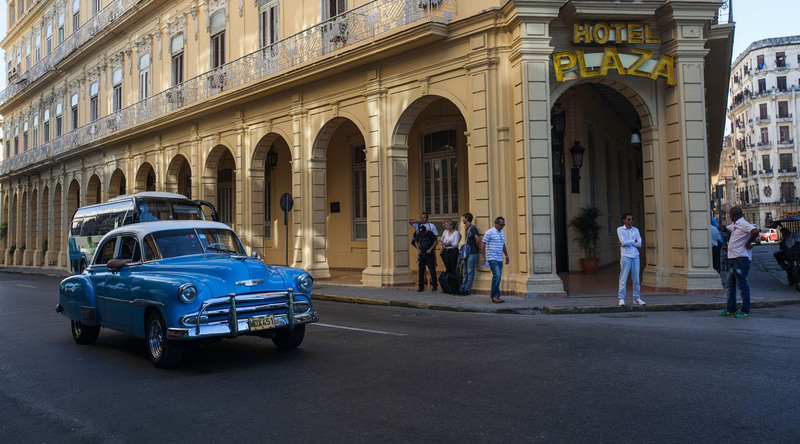 What do U.S. Travelers Need to Know About Traveling to Cuba?